I moved to Los Angeles in 1989, at the dawn of what I like to call Terminator 2 Era. It was a very bad time for women and their stories and a very good time for men and their stories, especially if those stories happened to be violent. The first studio screening I attended was “License to Kill,” where I was treated to popcorn in a cut-glass bowl, Perrier and, as I recall, the sight of a guy getting shot in the eye. Timothy Dalton’s tepid portrayal of Bond and the instantly forgettable story were afterthoughts; it was the body count that mattered. Despite its subsequent listing as one of the worst Bond films of all time, “License to Kill” grossed $156 million worldwide (roughly $300 million today). Soon afterwards, I got a job reading scripts on a freelance basis at CAA. Except for those that were already produced (submitted by writers seeking representation), all of them were bad. Emboldened by my dismal competition, I submitted a script of my own and quickly got a pass. This may have been because it had a female protagonist and two males relegated to supporting status, unlike any script I had read. Who, besides a lot of women, would want to see a movie like that? Apparently no one who could greenlight a film. I continued to write scripts and short stories with female leads and male supporting characters. None of them sold, though they got kiss-of-death comments like “quirky” and “charming,” which is code for “we hate stories about women.” Some of these comments came from women, none of whom were in a position to greenlight a film. I turned to documentaries in large part because I wanted to direct. In an industry where the least qualified male was more likely to be hired as a feature director than the best qualified woman, documentaries seemed to offer a separate path to the same goal, or so I thought. As it turned out, I had to vie for the respect of my cameramen–whom I was paying, since I was also the producer. I also had trouble with male crew members, who preferred to take their orders from a man. Apparently I wasn’t alone in my struggles: now there’s a whole website devoted to the subject of women directors and others working in non-traditional film jobs. http://shitpeoplesaytowomendirectors.tumblr.com/ask I recommend it highly, particularly to anyone who thinks this sort of behavior went out with the “Mad Men” era. Fortunately, there have been a few bright spots during the past 25 years. Kathryn Bigelow became the first woman to win the Academy Award for Best Director, and two more–Jane Campion and Sofia Coppola–were nominated. (This brings the total number of women nominated for Best Director to a whopping four. The first was Lina Wertmuller in 1976; she remained the only female nominee until 1993.) A lot of women directors have found steady work in television, which in the Netflix era is no small thing. But the fact remains that male directors of independent films are frequently catapulted up to the majors, sometimes with only a single credit to their names, while far more experienced women directors are not. It’s also common for women directors to hit a dead-end after making a splash with their first film, finding themselves without prospects for financing or work. This is seldom the case for male directors. The justification for this exclusion used to be “movies directed by/starring women don’t make money.” Nowhere was this attitude more prevalent than in summer blockbusters, which were the undisputed domain of male stars, directors and writers. It was accepted that female stars, however adored, couldn’t “open” a summer movie. Jodie Foster defied expectations with “The Panic Room,” which grossed $100 million domestically. But even Julia Roberts needed a horde of male co-stars (in “Oceans Eleven” and “Oceans Twelve”) to achieve popcorn movie status. That’s why this summer is notable. On May 15, “Pitch Perfect 2,” with its female director and cast, surprised everyone by trouncing the presumed box office favorite, “Mad Max: Fury Road. Though “Mad Max” has gone on to be more profitable worldwide because of its huge foreign receipts, the domestic totals (as of June 8) remain significantly higher for “Pitch Perfect 2.” Then this past weekend, the Melissa McCarthy vehicle “Spy” demolished the bro-loaded “Entourage,” out-earning it almost 3 to 1. * (If “Entourage” hadn’t opened two days earlier, the difference would have been even greater.) 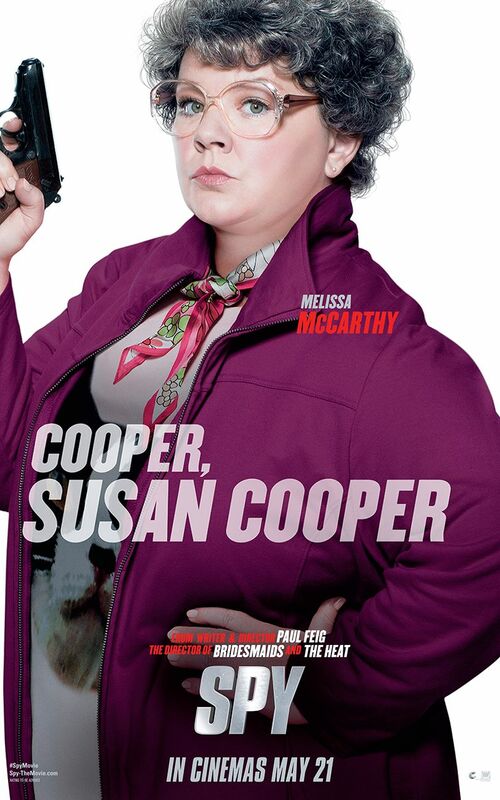 “Spy,” which got great reviews, is absolutely hilarious. It’s also thrilling, not least because it has shattered the glass ceiling of summer movies. You are currently reading Toward a Less Sexist Hollywood: “Pitch Perfect 2,” “Spy” and the Evolution of Summer Movies at Under the Hollywood Sign.